If you've always wanted to have a go at throwing then this is a good place to start. This session is 2 hours long and is designed to take you through the basics. One of our tutors will teach you how to create a simple cylinder shape that you could use as either cups, flower pots or for serving food. Your tutor will use demonstrations, discussions and hands-on assistance to guide you through the process. These Sunday classes can be booked by individuals and, like all Jo Davies Studio classes, will have a maximum of 4 people, so you will receive more help than in large classes. 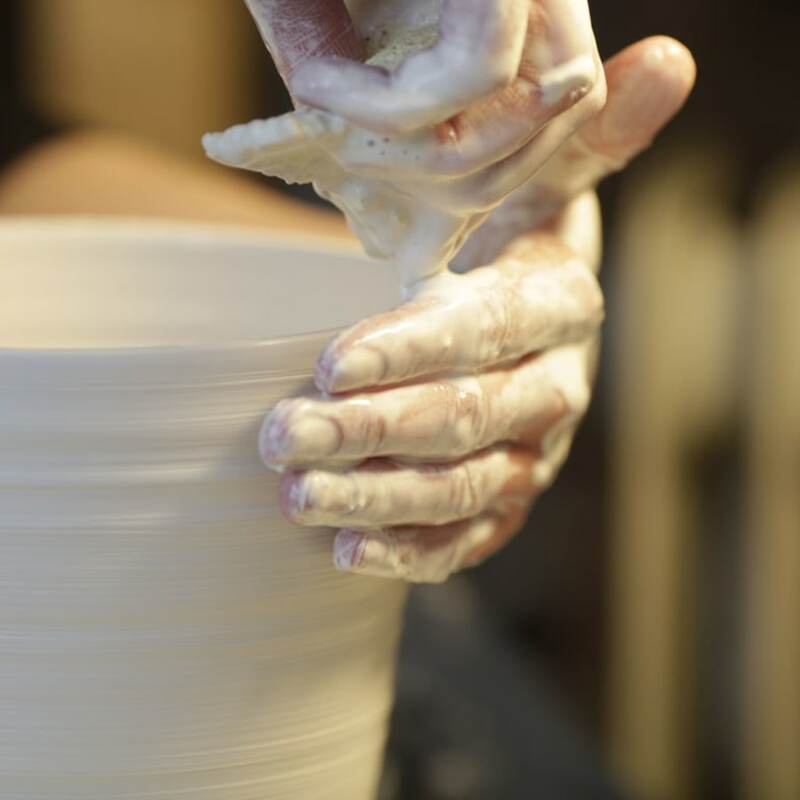 The Jo Davies Studio is the professional studio for the ceramicist Jo Davies and is set inside the Chocolate Factory Workshops in Stoke Newington near Dalston. Jo Davies designs and makes her own range of porcelain which can be seen at the studio. She works with other tutors to offer Beginners and Master Classes alongside her own practice. The Chocolate Factory is a beautiful environment for learning and a secret London gem. 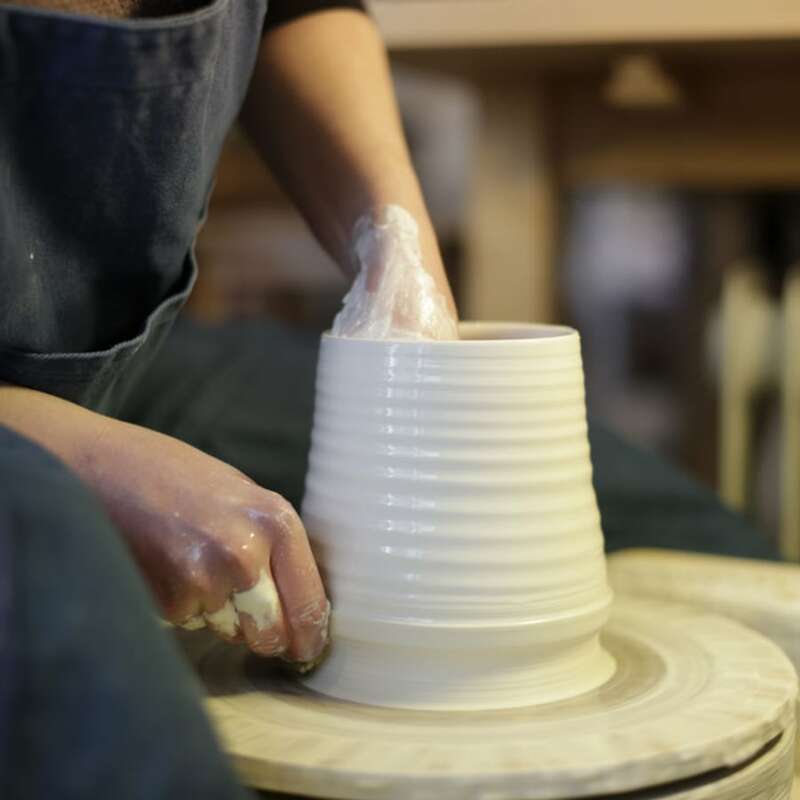 Items made during the session will be fired and finished at the studio and should be collected at a later date. This usually takes about 5 weeks. Jo Davies is an experienced tutor in ceramics and offers tuition in her studio for wheel-throwing with the help of a dedicated team of assistant tutors. 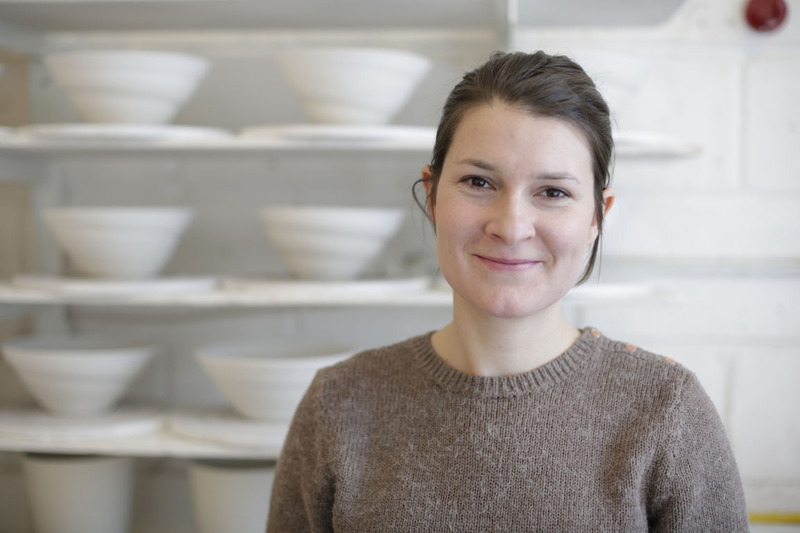 She is considered an expert in her field and, since graduating from her Ceramics degree in 2002, she has taught a wide range of students - from school groups to undergraduates. 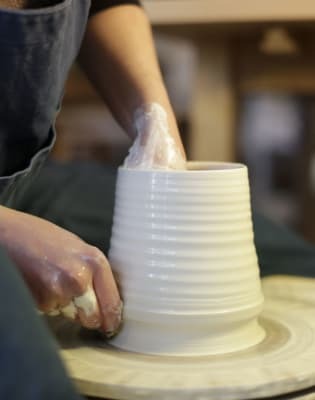 She has a Masters degree from the Royal College of Art and fifteen years of professional practice in ceramics so her advice is sought after by people both looking to begin their interest in wheel-throwing clay and by those who want to take their knowledge further. Classes at the Jo Davies Studio are small - no more than 4 at a time - so everyone receives the attention they need to learn. Individual progress is often quicker than in larger classes when a teacher's attention is more thinly spread. Many classes will give one demonstration and expect you to sink or swim. This is not our way. We believe strongly in frequent guidance at the early stages of learning to wheel-throw, allowing students to gather confidence to stand on their own two feet without allowing them to flounder. Jo, with the help of her assistant tutor, offers Beginners classes, Taster sessions and Master Classes. All Master Classes at the studio are taught exclusively by Jo. Please contact the studio for further information about classes if you have any questions. All materials and tools are provided. Please wear comfortable clothes (no skirts please) and tie your hair back.